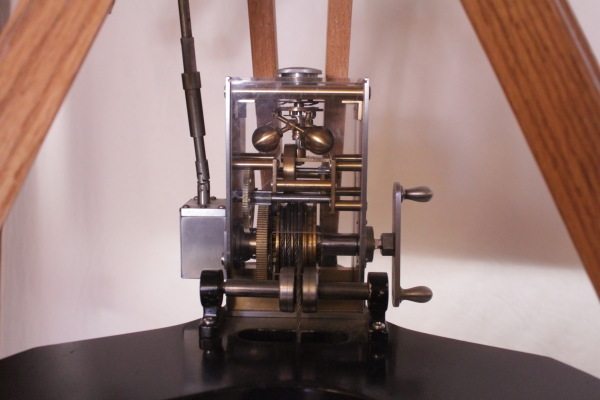 I uploaded a video showing the operation of a classic Unitron Weight Driven Clock Drive. 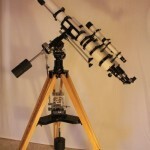 This 50 year old device allows a telescope to follow the very slow movement of stars and planets. The stellar motion is undetectable with the naked eye but in a telescope the movement is highly magnified so a tracking mechanism is very helpful. 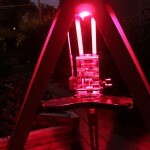 The device works strictly because of gravity, allowing the user to set up the telescope far from any source of electricity. It works much like a old fashioned Grandfather Clock. Like any old mechanical device, many find it fascinating to watch. Please visit http://www.youtube.com/watch?v=agC1aJMBLlA to see the video. 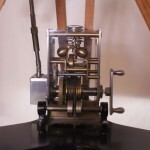 This entry was posted in Unitron Telescope, Unitron Weight Drive and tagged Telescope Clock Drive, Telescope Weight Driven Clock Drive, Unitron 160, Unitron Clock Drive, Unitron Telescope, Unitron Weight Driven Clock Drive on January 2, 2013 by DaveTrott.